- M100, This will give around 349 FPS. 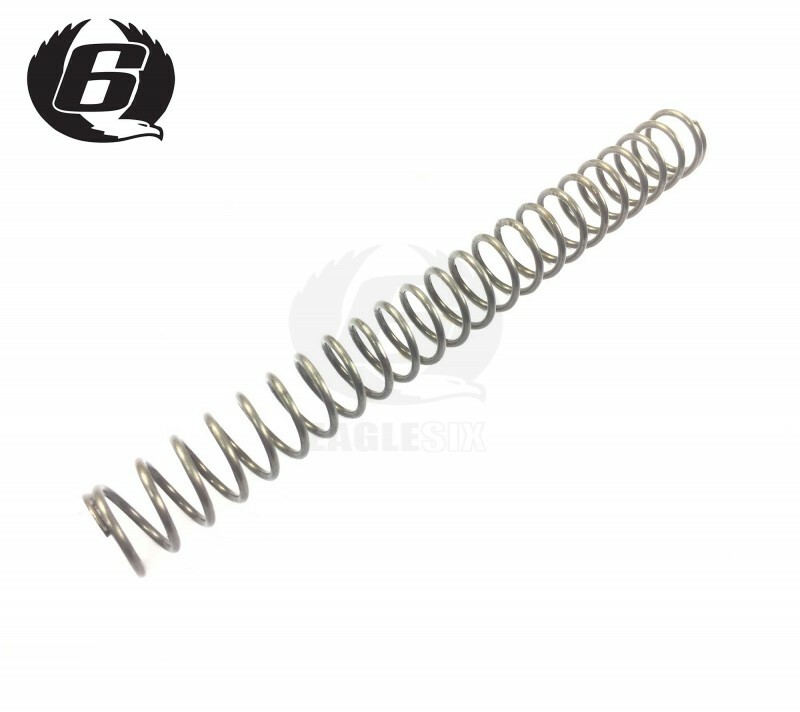 This spring is specifically designed for the Next generation aeg's from Tokyo Marui which use a shorter than normal aeg spring in there gearbox. Using a oversize'd aeg spring in one of these gearbox's will cause excess wear to your stock tube threads or poor cycling / reduced battery efficiency. These springs are Heat treated and use high quality steel and are made in England. These Springs are tested every 10 springs and measured for consistency during the manufacturing process. These are also deliberately made as a linear spring for a more consistent fps reading shot to shot. This spring will fit all Next Generation Recoil Shock AEG's but may produce slightly higher power results on SCAR Next Gen series. To give a rough example this spring on a stock next generation m4 socom will give consistently 348 - 350 FPS tested over 5 springs.